There are lots of ways to make the world a better place, from environmentally friendly green jobs to teaching to working for a charity organization. One of the first jobs that comes to mind when you think of helping people is working for the police. Officers of the law serve and protect people by stopping crimes, often putting their lives at risk to do so. There are also jobs within the criminal justice system that you can work without ever having to be in any danger. You can save lives and stop crimes without ever having to carry a firearm or even see a criminal in person by working any one of the following jobs. Here is a job you can do from the safety of an office that still allows you to catch bad guys. As the number of cyber crimes such as hacking and identity theft grow, so does the advancement of the field of computer forensics. Computer forensic technicians track criminals using advanced knowledge of computer security systems, data retrieval, computer surveillance, and hacking methods. If you’re a techie and you want to apply your skills to fighting crime, this job could be perfect for you. However, to do this job, you must have a deep understanding of criminal justice as well as technical skill. The University of Cincinnati offers an online masters degree in criminal justice that will prepare you for a career as a computer forensic scientist. A criminologist is an analyst who works with statistics to make predictions and create reports about crimes. They can use these skills to predict the behavior of a specific criminal or to make suggestions about how to prevent crime in a certain geographic area. This job requires candidates with a talent for crunching numbers and using statistics to make accurate predictions. Criminologists may have to interview suspects for their work but that is the closest they will ever get to a criminal. Not to be confused with a criminologist, a criminalist does the same job as a forensic scientist, collecting data and samples from crime scenes and analyzing them in a lab to figure out the nature of a crime. 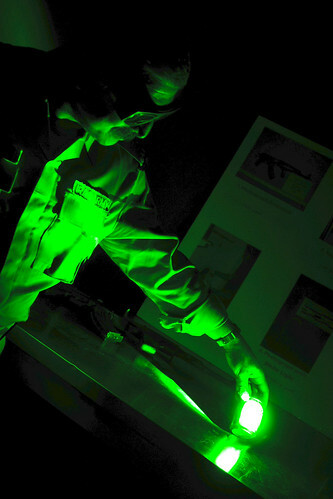 Criminalists collect fingerprints and DNA samples, measure and photograph the crime scene, and create detailed reports of their findings. This job has no direct contact with criminals, but it’s not for the faint of heart. Dead bodies, blood, and other evidence of violent crimes are part of a normal day on the job for these investigators. You may have noticed that a trend among these less dangerous criminal justice jobs is a high level of technical skill. Computer forensic scientists are good with computers, criminologists have studied sociology or psychology, and criminalists are research scientists knowledgeable in both chemistry and biology. If you’re interested in any of these fields as well as criminal justice, any one of them is a good starting point for a new career.